Oklahoma Sooners head coach Bob Stoops suddenly finds himself in a position he really didn’t want to be in, and thanks to a player he didn’t expect would put him there. He may have to prove he isn’t all talk. He may have to show that he is serious about discipline and that it doesn’t matter who the player is. You screw up, you pay the price. Yes, even if you are a Heisman Trophy finalist and next year’s Heisman front-runner Baker Mayfield. 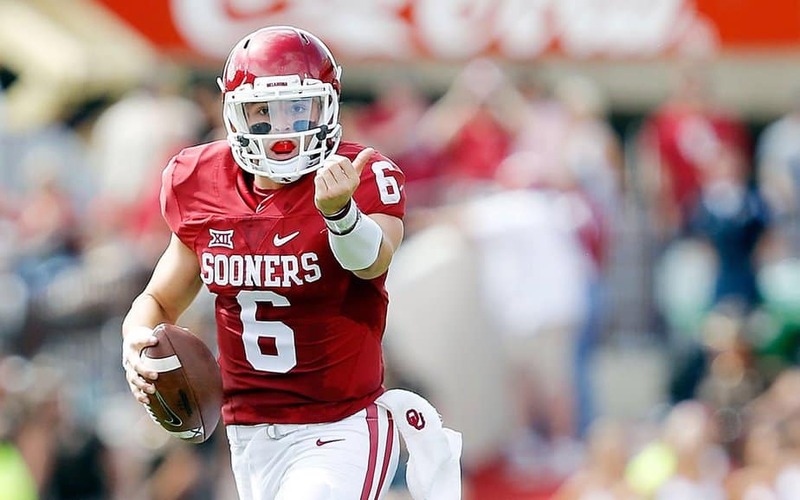 The superstar quarterback surprised the world when he said he was returning to Oklahoma for his senior season. But not quite as much as when the news broke about his arrest Saturday morning for public intoxication, disorderly conduct, fleeing and resisting arrest. According to several reports, the whole mess went down in the early morning hours in Fayetteville, Arkansas. A police officer had been flagged down to take an assault and battery report. The person that flagged the officer down was yelling at Mayfield who was clearly intoxicated, had trouble navigating some stairs, and had food all down the front of his shirt. Mayfield tried to tell the officer he had been trying to break up a fight. The officer asked Mayfield to hold on while he took a statement from the person that had flagged him down. Mayfield began yelling obscenities. When the officer asked Mayfield to come here, he decided to ignore him and walk away. When he began to sprint, the officer caught up, tackled him, and placed him under arrest. He was released late Saturday morning and will have his first hearing Monday morning. More details are expected to be released as the case continues. Officials from Oklahoma have said what one would expect at this stage: We are aware of the matter and are gathering details. 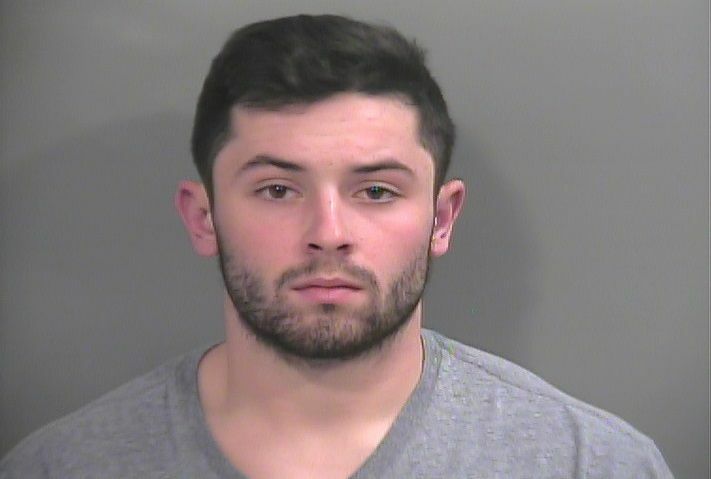 Even if the charges are ultimately dropped, there were still be an expectation that the Sooners punish Mayfield in some fashion after the disastrous way the Joe Mixon situation was handled. The two situations are entirely different, of course. But since the general perception is that the team and University were way too lenient on Mixon, there will be a lot of interest in how they respond to Mayfield’s transgressions. The notation of Censure shall be removed upon graduation from the University of Oklahoma subject to completion of disciplinary sanctions. Stoops could impose sanctions of his own if he wants to. He has been blasted for not being tougher on Joe Mixon, so it will be interesting to see how he handles Mayfield. Does he suspend his superstar quarterback for a game or two and kill his Heisman chances before he steps on the field? Should they risk losing games and killing their championship hopes? Does he discipline without worry or concern of how it may affect the football team (and his job)? Or does he do nothing and hope that someone else’s superstar screws up and takes over the media’s focus?